GH Display is an approved member of the Event Supplier and Services Association (ESSA). ESSA is a trade association representing contractors and suppliers of goods and services to the exhibition industry. Gaining membership demonstrates the high quality exhibition stands, custom displays and graphic products and services our customers receive and the overall reliability of GH Display. The ESSA Membership for GH Display is below. 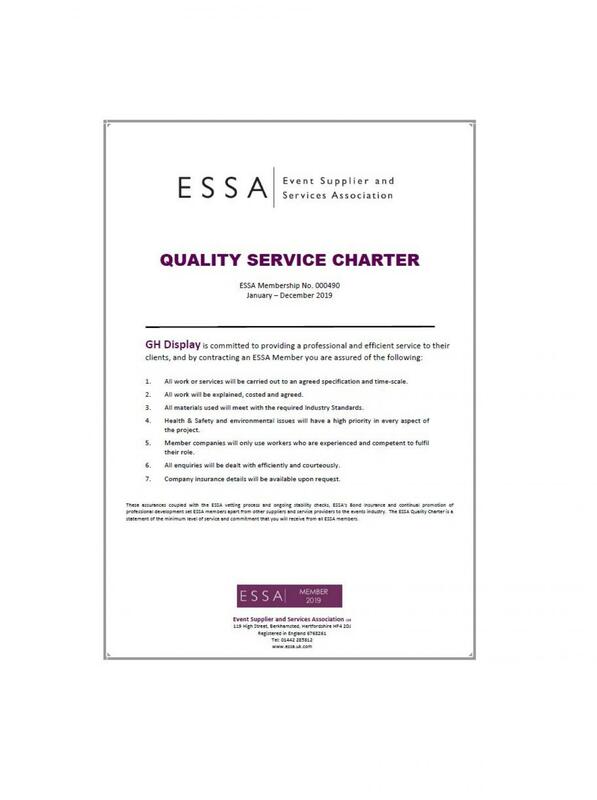 The ESSA Quality Services Charter below sets out the measurable criteria that GH Display have demonstrated in order to become an approved ESSA member.